AS RUGBY league fans began flooding into ANZ Stadium for tonight's grand final clash it was obvious Cronulla had Melbourne covered for supporters. But off the field the punters were pouring their hard-earned cash on the men in purple to deny Michael Ennis and his Sharks an historic breakthrough grand final win. There was a rumour doing the rounds at ANZ Stadium early in the day that Storm coach Craig Bellamy would pull the biggest selection shock in grand final history by playing Billy Slater against the Sharks. It gained some traction as the day wore on but it seems a juicy rumour deliberately put out in rugby league circles. Cronulla, which has gone 49 years without a premiership, is the obvious sentimental favourite with Sydney fans whose teams missed the grand final. 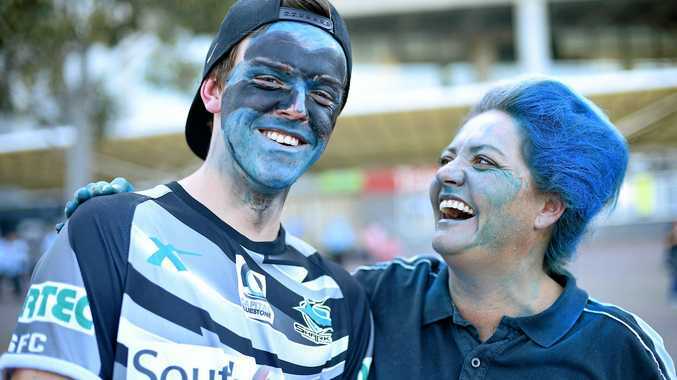 Sharks supporters proudly wearing their jumpers and club shirts were flowing into the stadium within a few hours of the final, their faces painted black, blue and white, their hair sprayed and many carrying blow-up sharks and flags and banners. 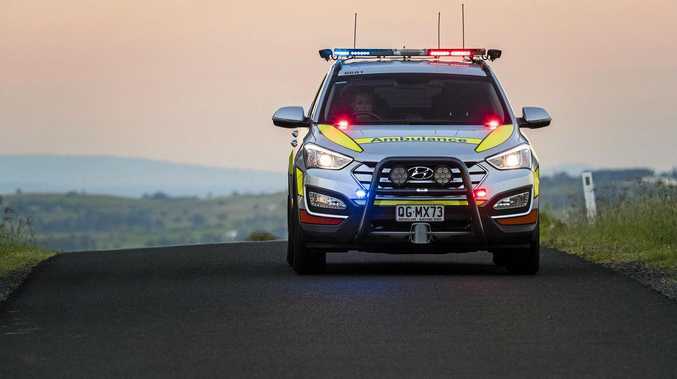 Melbourne will have its share of supporters with several thousand reportedly making the trip to Sydney yesterday to give Cameron Smith and his players as much help as possible. Sydney has done its bit, turning on a spectacular, sunny spring day with the promise of a quick track for tonight's battle. Earlier in the afternoon, the Sydney Roosters staged a miraculous second-half comeback to beat Penrith 30-28 in the under-20s. After being down, and seemingly out, 28-6 at half-time the Roosters piled on 24 unanswered points to win a classic grand final. Unfortunately the Intrust Super Championship proved a one-sided affair with the Illawarra Cutters smashing Queensland champions the Burleigh Bears 54-12 after leading 30-0 at half-time.